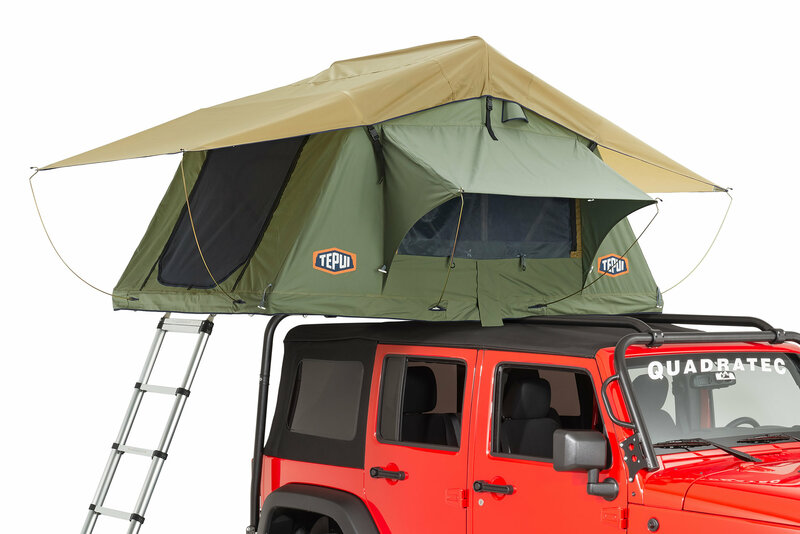 The Ruggedized Series Kukenam 3 roof top tent from Tepui is designed to be the toughest roof top tent available. The Ruggedized Kukenam 3 is manufactured from high quality 360g dual stitched polyester cotton canvas and 600d rip-stop material that is 40% heavier than standard tent models. 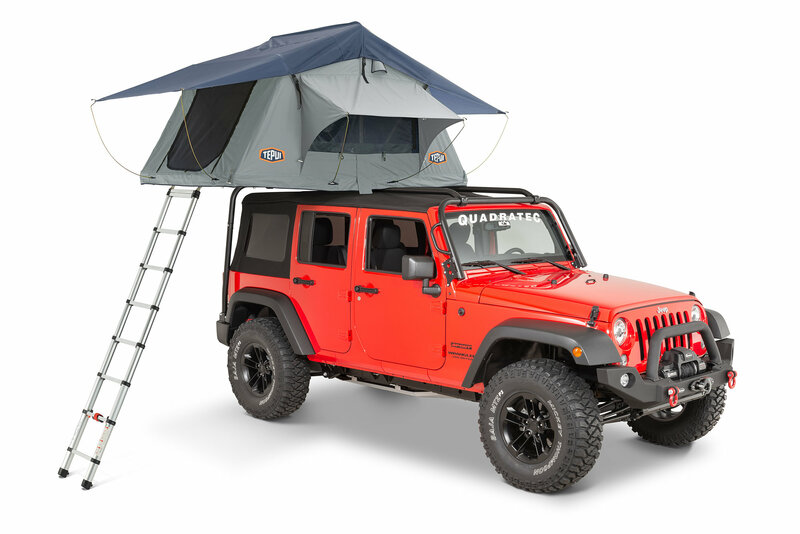 This tent is the one to get for off road trailers and heavy-duty overlanding vehicles. The roomy tent has a sleeping footprint of 96” x 56” that can accommodate 3 people, or allow for extra room for the solo adventurer. 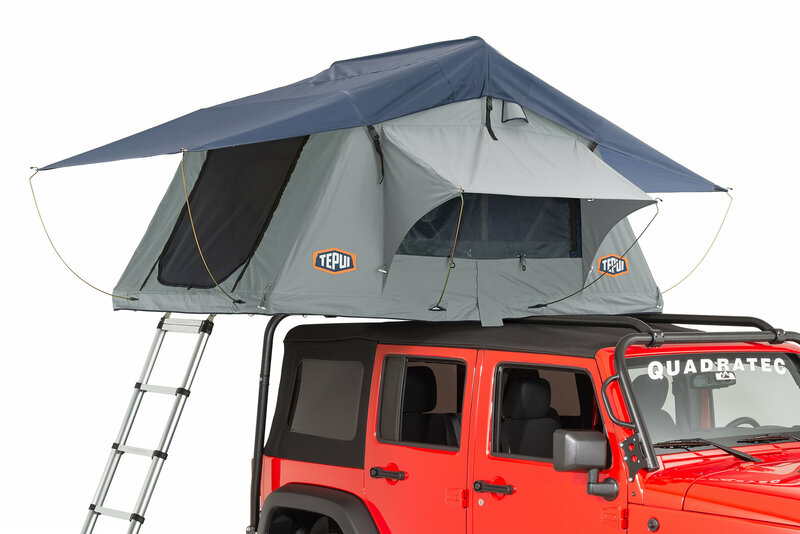 This tent features quick release clips on the rainfly that gives access to the 2 fully operational SKY panels in the roof of the tent. 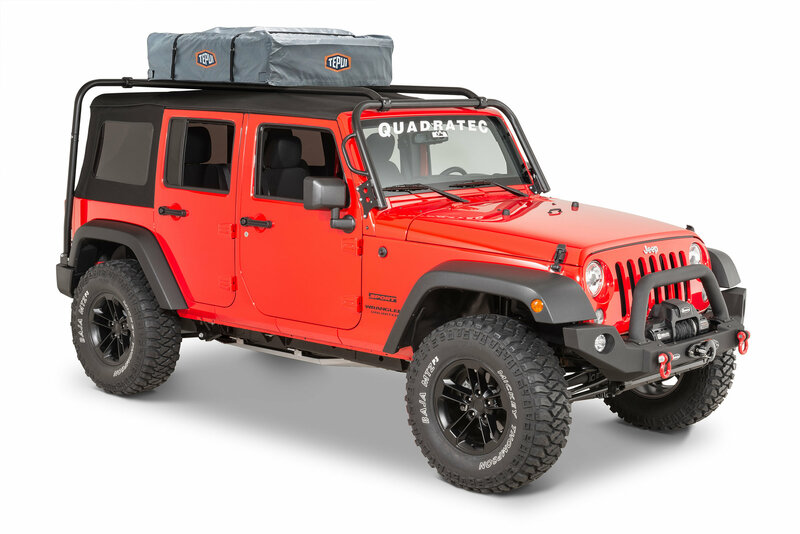 There are 4 internal storage pockets for camping gear, and the included 2 ½” thick high-density foam mattress is so comfortable, you will forget you are away from home! The large screened side windows allow for maximum visibility for the beautiful views that you may encounter. The telescoping ladder measures up to 8ft 6in and eliminates the need for ladder extensions for lifted vehicles. The included universal mounting brackets can attach to most roof racks or crossbars, making for a very easy installation and setup. The tent opens and collapses in minutes, and the included travel cover is made from waterproof 1000g heavy duty PVC material for ultimate protection for when you are back on the road. Available in Haze Gray and Olive Green. Universal Fitment: The Tepui Kukenam 3 Roof Top tent includes universal mounting brackets that will fit most roof racks that use crossbars. 4 Season Tent: The Ruggedized Series Tepui Tents are made for the adventurer. The high quality 600D rip-stop material with dual stitched taped seams, heavy duty welded aluminum framing can withstand heavy rains and high winds. Quick Setup & Breakdown: The Kukenam 3 Tent easily folds open, so setup only takes a few minutes with no tools at all. The comfortable 2 ½” thick mattress is already inside and ready for use. When it is time to go, simply fold the tent back up, strap down the included waterproof travel cover and you are ready to hit the road.